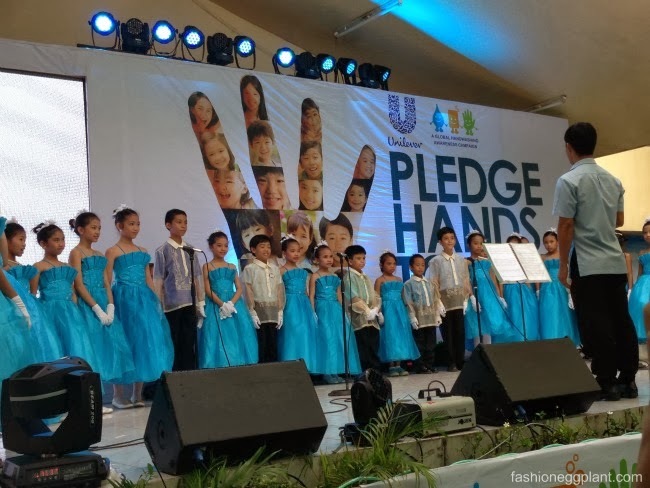 I celebrated Global Handwashing Day with Unilever to kick off their Pledge Your Hands Campaign in a commitment ceremony held at the Aurora Quezon Elementary School. Pledge Your Hands is Unilever's global commitment to teach proper handwashing to 3 million children nationwide. A 2 million increase from just 1 million in the previous years. 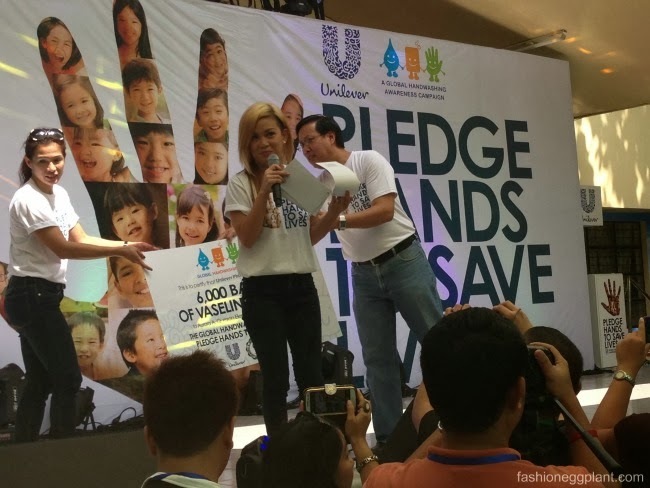 According to Unilever's Vice President for Corporate Affairs and Sustainability, Chito Macapagal, handwashing is the simplest and most affordable way to prevent outbreaks and save lives. Sometimes you have to make sacrifices but at the end of the afternoon, this didn't feel like a sacrifice at all. I felt like I gained more than I gave. The enthusiasm and appreciation I witnessed from the 1000 participating students was so heartwarming. Before the actual handwashing ceremonies began, a mini show hosted by Tuesday Vargas and Zaijan Jaranilla (better known as Santino) was held to promote awareness regarding the importance of proper hygiene. Which was then culminated by the turning over of 6,000 Vaseline bars to the school by Mr. Chito Macapagal. The feeling you get from giving back is quite priceless and a great de-stresser. I definitely recommend everyone to personally experience this, volunteer and Pledge Your Hands To Save Lives.